It’s been a long winter, but there’s no denying that spring has returned to Birmingham! The sunny weather also signals the return of the Market at Pepper Place, a bustling outdoor market with a wide variety of fruits, vegetables, craft goods, and more. 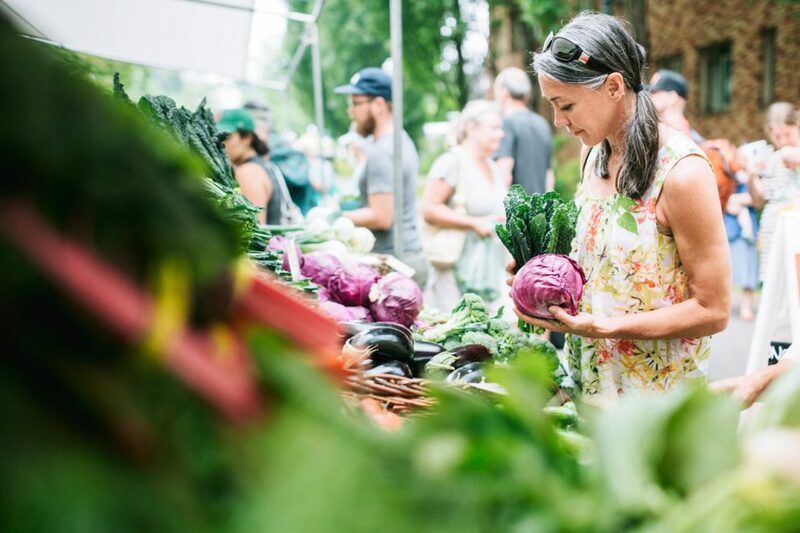 The Saturday market opens on April 13, so get up early to taste the region’s natural offerings and meet the purveyors behind them. The open-air market is held every Saturday morning in the Pepper Place Entertainment District. This year’s season will run from April 13 until December 14. The market is open from 7 a.m. until noon, rain or shine. The market is also typically open on holiday weekends. The Pepper Place Market is located at 2829 2nd Avenue South, Birmingham, Alabama 35233. As the market features the freshest bounty from the earth, you’ll notice the offerings change with the seasons. In the spring, you may see colorful strawberries and herbs, while the summer may yield peaches, apples, and pears. The fall will bring pumpkins and gourds, and the winter might offer hearty root vegetables. While you browse the various stands, there’s no telling whom else you might see shopping the market. As a testament to the quality of Alabama’s terroir, many local chefs are known to source their goods from the market’s farmers. There’s far more to the market than fresh produce. On any given Saturday, you may find baked goods, honey, jewelry, and a plethora of other craft items by local artisans. If you need to connect to the web while you’re exploring the selection, you can take advantage of the market’s new free public Wi-Fi this season. Now you can save data while you Instagram your haul. If you’re looking for a fresh deal, come to our dealership to try out a new Toyota. We offer a wide selection of new and pre-owned vehicles, and we’re located at 2200 Avenue T in Birmingham. Alabama drivers from the Gulf to the Appalachians are welcome to visit our lot to explore our selection. Customer service is our top priority, and all our Toyotas are priced to sell. While you’re here, don’t forget to ask our expert staff about our specials.